Has anyone tried to claim the 10% federal tax credit? I purchased a C124 in 2011 which qualifies me for a tax credit of 10% of the purchase price of the bike under section 1142 of the 2009 American Recovery and Reinvestment Act. I called the IRS and was told that I cannot claim the credit so I did not claim it on my taxes. They told me the manufacturer had to pre-certify the vehicle for eligibility with the IRS in order for me to claim the credit. I looked up the law online and there is no such requirement in the law. 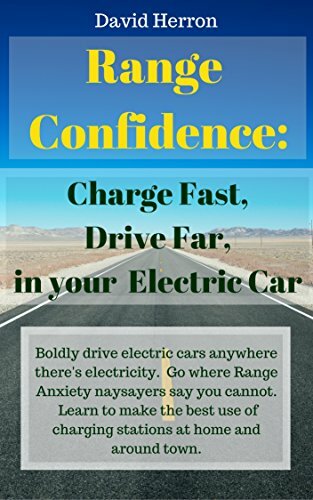 The law says any 2 or 3 wheel plug in electric vehicle purchased between 2009 and 2012 for on road use with a battery capacity of at least 2.5 kwh is eligible for the credit. I was wondering if anyone has tried to claim the credit on their taxes for a bike from Current. Re: Has anyone tried to claim the 10% federal tax credit? They told me the manufacturer had to pre-certify the vehicle for eligibility with the IRS in order for me to claim the credit. I looked up the law online and there is no such requirement in the law. "We did send a request to be put on that list - but apparently to no avail. We have had people successfully receive the tax credits (for 2010) without our name being on the list." Based on that I filed with the form #8834 (put it on line 53 and check box c) and just received my refund check which included the credit. If I remember right, you must file the 1040 long form to use this credit. I suggest you file an amended return. Please note that I am not a tax professional, accountant or attorney, so my advice is worth the price you've paid to read it. That's interesting that Current filed the paperwork but didn't make the list. The law does not require the certification nor is there any published IRS regulation specifying it as a requirement. However I am going to get the c124 on the list before I claim it so I don't have to worry about having the IRS charging me penalties and interest a year from now.